Zachary: "You want us to do WHAT?" Zachary: "Awwww Mom, do we have to?" Henry: "Momma, I'll feel silly." Nonsense. 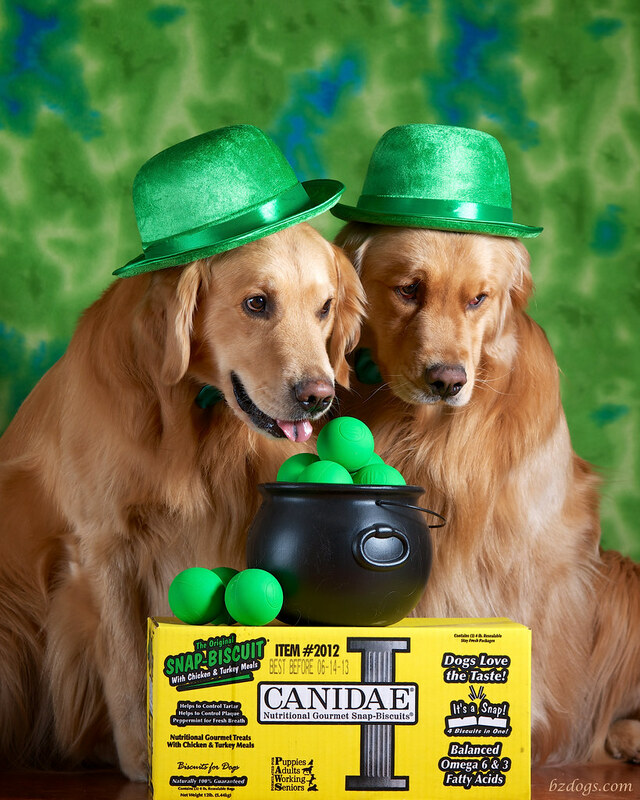 It's St. Patrick's Day - you'll fit right in. It's the green thing to do! And I'll double your modeling fee. Now look the other way. 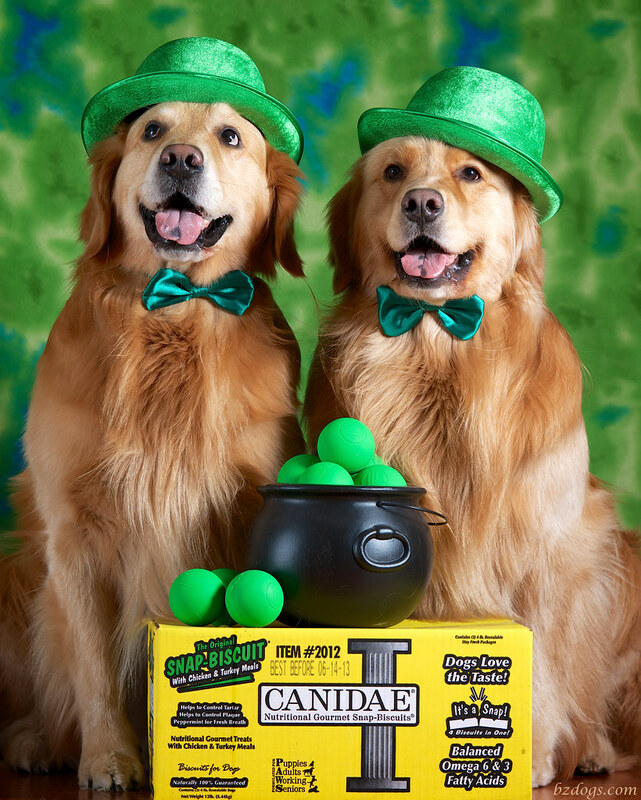 Our Daily Challenge - Mar 16, 2013 - "Luck or Lucky"
They stumbled across a giant crock of green Lacrosse Balls and Big Golden Box of Cookies. Daily Dog Challenge "502. Green"
No, I have no idea why anyone would make them such a stupid color, as they nearly impossible to see on the grass where the came is played. 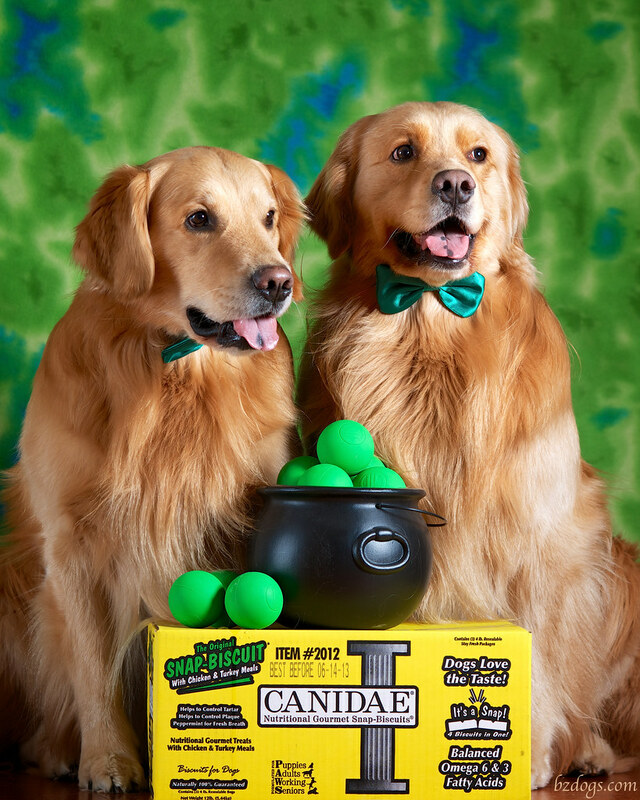 Where did you find that crock of green Lacrosse Balls and Big Golden Box of Cookies? Pawsome posing guys. 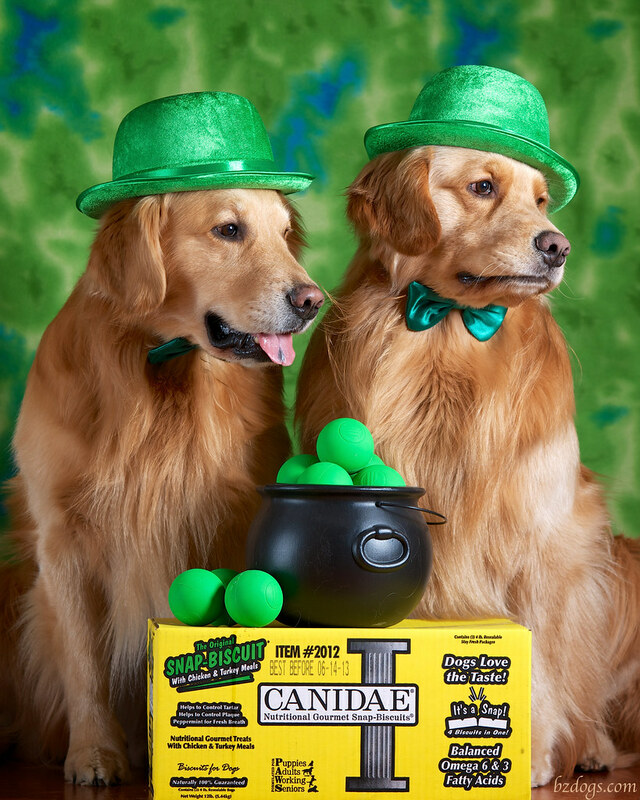 We wish you a very happy St Patricks' Day. Make it a good one. I love the photos. I wish I'd put some thought into staging a photo. Actually I did put some thought into it, I just didn't do it! 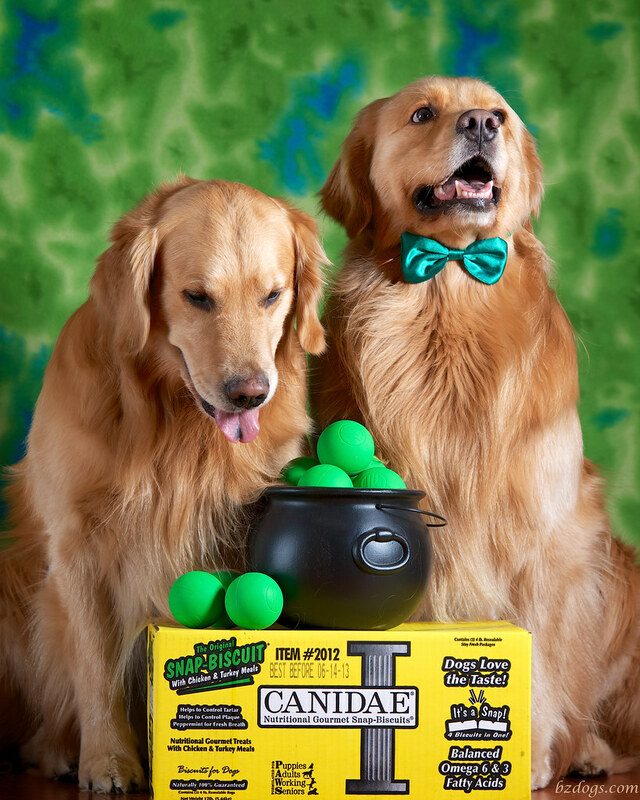 Green is a weird color for them, but it was perfect for your shoot! And the boys played right along.